The boys are showing their true colors again in '10. We are officially sold out for the 8th year in a row!!! If you haven't paid yet, you are going to have to wait until '11 to celebrate the 201st anniversary of Oktoberfest. The rest of us are going to celebrate the 200th anniversary in '10!!! Team Chicago and Team Scott are rockstars this year. 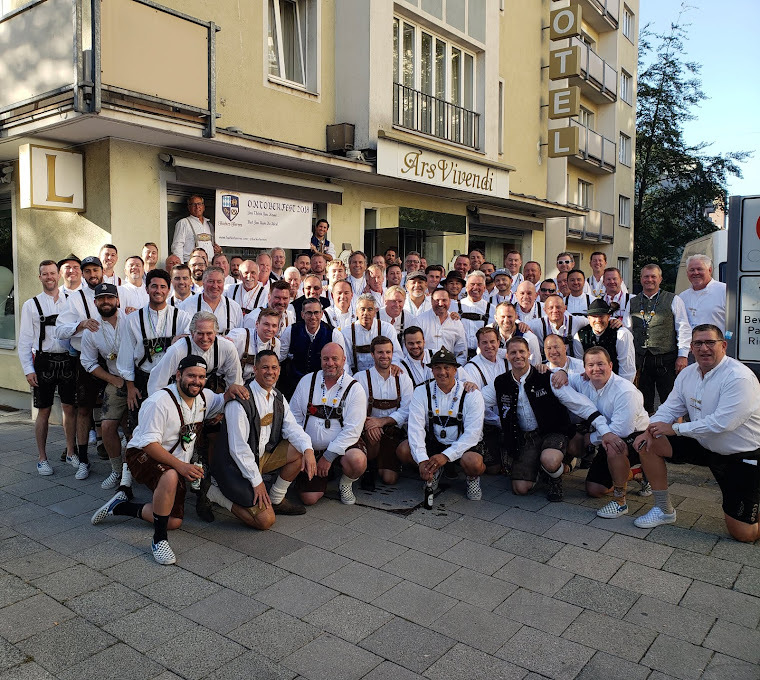 I have already been assured by Exec Committee member Bad Monkey and his henchman Blackout (Roy '08) that ALL MEMBERS OF TEAM CHICAGO will not only be wearing their lederhosen in the tents, but they are also traveling in their lederhosen. Way to lead from the front Chicago. Will Team Scott also be donning the lederhosen from SFO to HackerPschorr??? I know the boys from Cypress are going to be pulling up the rear on the hosen. Pudge, make sure you get yours taken in as you have downsized this year! Look who's joining us at Ofest '10!! !